It's the last two days of the 7th Annual Flats and Handwashing Challenge! If you're new to the Challenge, please read more about what's going on this week as families all over the world will be diapering their babies with flat diapers and handwashing for a whole week. Today's topic is to share what's working for you and what's not working. If this is your first Challenge, you may be surprised by how easy (or maybe hard!) this is. Maybe you've had to change things up half way through the Challenge. Share your expectations vs. your reality! Let's start with what's not working for me! Fancy folds! I love the idea of fancy flat folds. Happy Anteater is my favorite! But in reality, I have a busy 10 month old. Changing his diaper is a nightmare. He does not sit still long enough for a diaper change and if you try to hold him down he acts like you are torturing him. So I need to be fast! So the best I can do for most diaper changes is a pad fold. I am using Happy Anteater for our nighttime diaper, but that's the only time I attempt anything fancy. 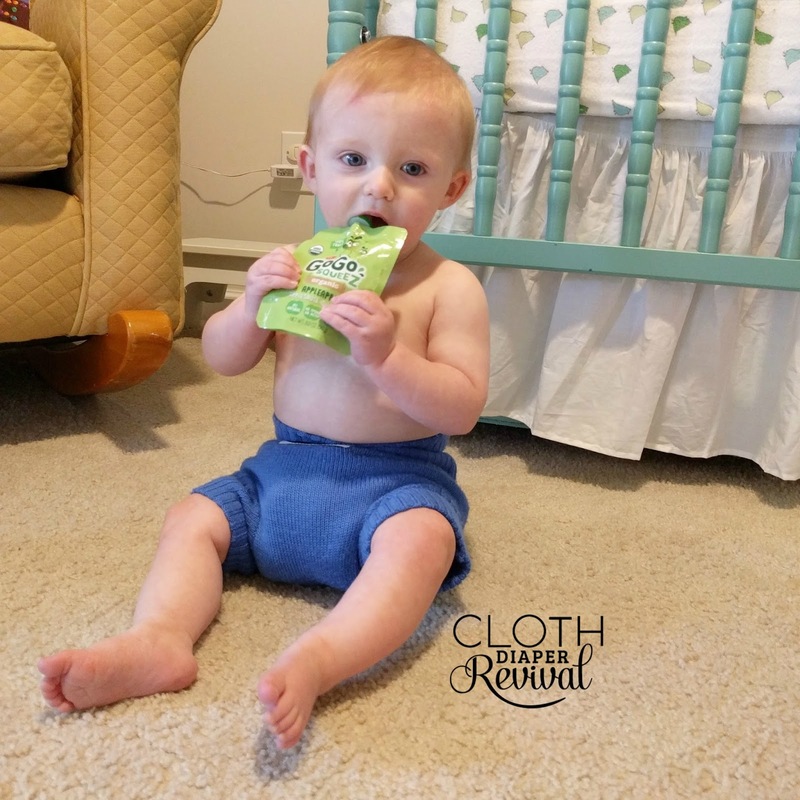 Nighttime diapers - For nights, we're successfully using two birdseye cotton flats. No doublers, no expensive hemp flats. Just plain old cotton! I use one flat folded with the Happy Anteater fold and then secured with a Snappi. Then I place a pad folded flat in a cover or with a wool cover and use that over the first flat. It works! Handwashing Once a Day - The firs time I did this Challenge I was handwashing twice a day, once at naptime and once at night. Smaller loads are nice! But with two kids and a baby that isn't a great napper, I didn't know that I could commit to washing twice a day. So I stuck with washing after my baby was in bed. He's a terrible napper which means he goes to bed early (6 pm). So I wash the day's worth of diapers right after he's in bed and get them on line ASAP. As long as I get them on the line quick (and don't wait) I can usually take advantage of enough heat/sun to get them dry by the time it's dark. There was one day that I did wash in the morning and at night, but every other day seemed to work out fine just washing once. For the most part, things are going as expected here! What about you?